Show me the numbers! You might as well call us Cuba Gooding Jr in Jerry McGuire cause we wanna see that money, honey! If you’re like us, you want to be able to quantify everything. What did those 40 hours last week get me? How many books did I sell after spending $1000 on Facebook ads, and exactly how many butts were in the movie theater seats this weekend after Tweeting for months on end? But what about intangible ROI? While it is possible to measure certain aspects of your social media activity (Followers, Link clicks, tone of conversations, etc), not EVERYTHING is measurable and THAT can be a hard pill to swallow for some folks, especially those new to the space or those coming from a traditional business background. 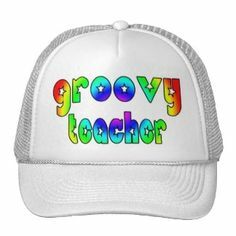 When potential clients come to us and only want numbers, numbers, numbers, we have to put on our Teacher hats (it looks like this!) and talk about what their goals are and how social media has many intangible plus sides that they made not see immediately in a eight week campaign. Social Media is built for relationships and making new contacts. Just because they’re thousands of miles away, doesn’t mean a new Blogger friend or a YouTube Influencer or PR pro can’t become a very meaningful addition to you Rolodex (are those still around?). Becoming active on social media is an easy way to increase your network that down the line could sometimes indirectly increase your sales and online mentions. Your network can be worth more than any “Reach” or “Engagement” analytic. We’ve been quoted several times in online articles about fandom marketing. Why is that? Because we have authority and are known in our industry as go-to people when trying to market to fans whether they love books or movies or products. Being part of online communities for decades (!!!) now has earned us this authority and expertise that money can’t buy and is not measurable by Net Nielsen or Google Analytics. Reputation doesn’t just have to revolve around Yelp reviews or Rotten Tomatoes scores, reputation can encompass everything from how much customers love your products to how you interact with fans, how you respond to pop culture events, post niche-specific news and the online content you create. Do you stay up-to-date on the news? Is your imagery professional… or in focus? Are you helpful and approachable online? Your reputation is everything. Sure fancy tracking apps can follow conversations and track tone of conversation but ROI can’t always measure how much word-of-mouth endorsements are worth, we can’t measure what a customer thinks of your brand after a friend shares a good or bad experience. We come back time and time again to this point with many of our clients, “who are you?” “what does your ‘voice’ sound like?” “what do you ‘look’ like?” “what kind of content are you drawn to and what do you like to create?” These are all very important questions to ask yourself because customers and fans are looking. How you represent yourself online and how that’s received is immeasurable. Intangible ROI doesn’t end there, the list goes on of ways you’re benefitting from your social media that don’t automatically equal sales or show up on your Facebook Insights tab. What about brand loyalty? Delayed sales? Customer Service? Instant Feedback? The list goes on. When you’re creating your Digital Strategy or looking for a new agency to rep you online, don’t always go for the big numbers and the spreadsheets, remember the intangibles and how much that can mean for a business in the long run. And look at Buffer, they threw away Social Media ROI all together! Are you measuring ROI? What’s important to your metrics and what can’t you measure?